Get In Touch With Instant Cash Canada And Experience The Loan Benefits! Worried about the unexpected financial emergencies in Toronto? Need a quick financial aid? Get connected with Instant Cash Canada without any second thought. We will provide you with the beneficial car title loans Toronto. These loans are a fast and easy way for you to get the cash you need as quickly as possible by using the equity in the vehicle that you own. Get ready to borrow up to $40,000 with us! Have An Overview Of Our Auto Title Loans Toronto! The Key Reasons To Choose Instant Cash Canada In Your Financial Crisis! You are guaranteed a quick loan approval when you loan with us. The loan amount is determined by your vehicle’s year, make, model and mileage; not on credit. We’re dedicated to providing the best customer services through our professional loan representatives, available to assist you in every step of the entire loan process. We have low-interest rates and offer convenient payment options. Our monthly payments are as low as $97. There are no prepayment penalties or extra charges for the loan. The loan terms are longer up to 4 years. You can also keep your car during your loan with us. Get a instant approval for a car title loan whether you have bad credit, good credit or no credit at all. 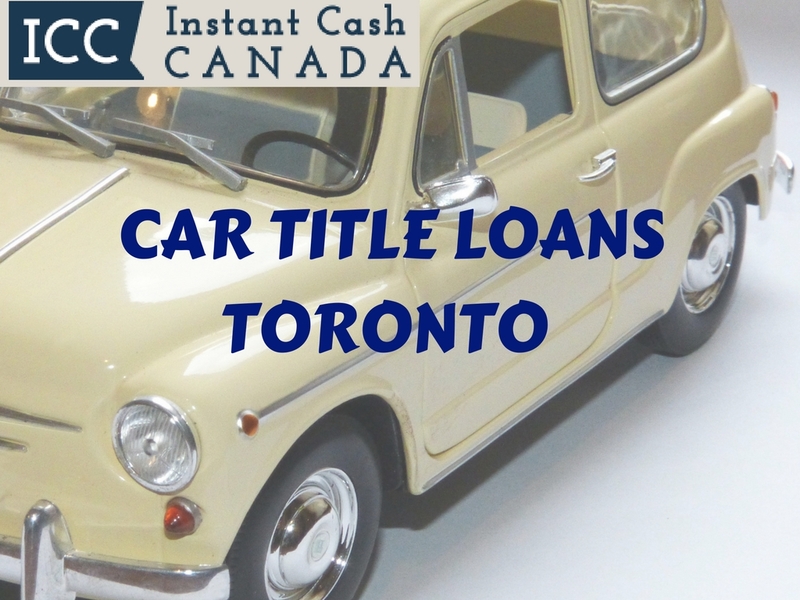 The Hassle-Free Loans Process For Vehicle Title Loans Toronto! We understand the importance of your time, so we will keep the loan procedure short and simple. You Can Call Us (Toll-Free) 1-866-840-7395 For More Details!